All information published on the skaristouring.co.za website serves as a guide only. It is the responsibility of individuals browsing through the skaristouring.co.za to satisfy themselves as to the accuracy of the information by way of enquiry and/or checking directly with the establishment concerned. While every effort has been made to ensure that the general information contained within the skaristouring.co.za web site is accurate, we cannot be held responsible for the accuracy of information supplied by the individual establishments. All material supplied by these said establishments is used by skaristouring.co.za on the basis that they own the rights to the said material. Through this website we at Skaris Touring provide an online platform through which hotels and all types of temporary accommodation including short term rentals, can advertise their rooms establishments for reservation, and through which visitors to the website can make such enquiries for reservations. By making an enquiry for a reservation through skaristouring.co.za or any of our sister websites the individual browser is aware that you are not dealing with the establishment Itself. From the point at which you make your enquiry for a reservation, we act solely as an intermediary between you and the hotel/establishment owner by transmitting the details of your reservation to the relevant hotel/establishment owner and sending you a confirmation email for and on behalf of the hotel or establishment owner. When rendering our services, the information that we disclose is based on the information provided to us by the establishments/hotels. Although we will use reasonable skill and care in performing our services we will not verify if, and cannot guarantee that, all information is accurate, complete or correct, nor can we be held responsible for any errors (including manifest and typographical errors), any interruptions (whether due to any (temporary and/or partial) breakdown, repair, upgrade or maintenance of our website or otherwise), inaccurate, misleading or untrue information or non-delivery of information. Each establishment remains responsible at all times for the accuracy, completeness and correctness of the (descriptive) information (including the rates and availability) displayed on our website. Our website does not constitute and should not be regarded as a recommendation or endorsement of (the quality, service level or rating of) any hotel made available. Tours may be half day or full day depending on what you'd like to see and visit. Depending on your time available, we can combine tours to give you a full day in our city or spoil you for a half day to give you a good feel for what Cape Town and surrounds can offer. This tour takes us up the East Coast. We follow Winelands, Lakes, Forest, Safari Parks and Reserves. We can drive to Knysna, Plett (500km) or as far as Port Elizabeth, Addo Elephant Park, (800km). It's an exciting trip with game viewing, sea life, wine, restaurants, views, walks in Forests, and for the more adventurous we can do mountain biking, bungee jumping etc. I will tailor make your tour to suit your needs. If you have any ideas, requests or tours you'd like to incorporate together, please contact me and I will put a special itinerary together for you. If you'd like to do East Coast, West Coast, Adventure, Animals, Sea, Relaxed, Historical, Cultural, Sporting, Beach, I can do it for you. Experience the thrill of riding on the back of a Harley along the Atlantic Seaboard, or a longer ride around the Peninsula for a day trip. We start in Camps Bay or Waterfront and offer 1, 2, 3, 4 hour rides, or full day rides. George, you're amazing, knowledgeable and friendly. We thoroughly enjoyed our day tour. You squeezed so much into one day and we saw everything on my list! 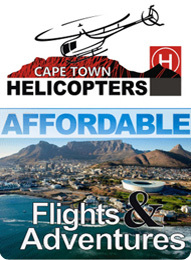 "Chance Meeting - then Heli Flip"
What can I say...the best way to see Cape Town! George arrived for our 2 hour ride which took us to Hout Bay, Signal Hill and surrounding areas. We stopped off at numerous points where George provided a fully guided tour, explaining the sights and answering questions. He even stopped at the Harley shop so I could get a t-shirt. Everything from the motorbike, the scenery and George himself was spectacular. I would highly recommend having this as something on your to do list when visiting Cape Town! My Mom and I always dreamt of experiencing the thrill of taking a ride on a Harley. We booked a 2-hour guided ride with Skaris Touring and George was so great in accommodating all our requests and soon, my Mom and I got whisked away by George and Johnny! The thrill of being on these beautiful and powerful bikes, being expertly guided along some of the most beautiful scenery, and the laughs and great company shared along the way will always be remembered. If you are looking for professional service and an amazing-fun-filled experience, you can be sure to contact Skaris Touring! (South Africa). My wife of 72 had never been on a motor bike & I hadn't for 35 years so with some trepidation I booked with George for a half day trip my Wife had agreed but when it came to the time she was petrified anyway we got on the bikes & off we went so after clinging on to George after 10 minutes she started to relax & enjoy the tip & started a smile that never left her face so proud of her to conquer her fears thanks George & Peter for a great morning until next time. David Bromley UK. "All You Could Wish For From A Tour Guide"
"Cape Town, Wine Farms and Harley Davison scenic ride"
"Best ever touring company in Cape Town"
"Best company to use when touring South Africa"
Skaris Touring organised all of our company activities and everything went smoothly. There was about 80 of us so it was a big group, but everyone had a fantastic time. We had Table Mountain hike, Harley/Jet Boat ride, Wine Tour, Shark Cage Dive and Helicopter ride organised, plus all the transfers that came with it. They were flexible with numbers and timing. George - owner of Skaris Touring, came for the whole trip and made a great MC/Host to the whole conference. He is funny and sociable and made sure all our guests were comfortable. "Our trip to Cape town 22-29 JULY"
We had one of our most wonderful holidays and we had discovered Cape town and its surroundings within a week including 2 days of bad weather. Honestly this will not be possible without our STAR GEORGES who managed to plan /re schedule/re-organise in order to optimise my visits during this short stay. He IS NOT JUST a guide ?, he is a FRIEND, ENTERTAINER, ADVISOR, BODYGUARD, CHARMFUL !!!! This guy knows everything, the whole Cape Town and its people. My family and I were actually very impressed by his product knowledge, his warm welcoming and his attention to details of service. He looks after us as friends, entertains everybody and advise us on restaurants, shopping and security issues. we feel very secure with him, everywhere, even the baboons are sacred of him !! ? I honestly believe that there is only ONE like him in cape town , UNIQUE!! Thank you Georges, sure we will come back and Trust me that this time we won't miss the Harley's drive.!!! Highly recommended!! In October 2013, for two weeks, our family took part in a cycling Holiday in South Africa. My husband, our two sons and their girl-friends went to mountain biking. During their courses, George and I followed them in his van. Every day we had very good accommodation in each area we passed through, we met a lot of welcoming people. We almost discovered a new place every day! George is famous everywhere! He's also fond of his country and knows all about the wildlife, the landscapes and the people! What a lot of interesting discussions we had! Thanks to him I learnt a lot about animals and flowers. We had funny evenings all of us, good laughers. Every day at each time we made the most of George'job! South Africa is worth seeing....especially if George attends to you!! Outstanding and memorable would describe our recent tour of the Cape under the auspices of Skaris Touring. We had the pleasure of hosting and co-ordinating a large contingent of Australian guests, some of whom were first time visitors to South Africa. George handled all the transfers, tours and logistics in his very efficient and friendly manner. He also spent quite a lot of his own free time with the group, generously sharing his knowledge and information about Cape Town and its surrounding areas and coastline. At the same time keeping everyone highly amused by his anecdotes and good sense of humour. George is Skaris Touring and highly recommended as an invaluable support to any company or individual wishing to organise touring in his part of the world. Thank you so much again George, kudos to you! "Mother goes on a Harley Davidson"
I went to Cape Town for a much needed break. Alone. I have four sons who ride bikes. I love them. Just do not like my sons riding them. I saw the pamphlet in my hotel and organised a 1 hour trip for the following day. It is absolutely in the top best experiences of my life! George was able to take me. I will never forget it. Hopefully I can do that again one day! Saw George's flyer in the hotel and thought i wanna do that, it was all i hoped it would be and more, George and John were great fun and so chilled just like Harley Bikers should be. Saw a lot of the coastline and could have gone on all day. Knowledge of the area was very informative and interesting. Will do it again but longer next time round. "Great day touring the Peninsula"
My wife and I had 3 nights in Cape Town following a safari in Botswana. I had prearranged with George to be met at the airport and sure enough, coming out of customs, we found a charming gentleman to greet us with our names on a sign. While George was not able to be there himself due to a prior obligation, he had sent a trusted associate, Gary, who took care of us and was just incredible. In addition to the airport transfers in a very comfortable Mercedes van, we had scheduled a tour of the Cape Peninsula. Gary was punctual, informative, courteous and very knowledgeable about the area and South Africa in general. We were delighted with his professionalism and thoroughly enjoyed the tour and our experience. Also, George had booked our reservation for us in a small boutique hotel, securing a discount where none was otherwise available as he personally knew the owner of the property. Just another benefit of booking with George Skaris. I would absolutely recommend his services. 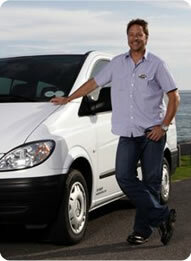 "Fantastic Tours around Cape Town"
AWESOME is the only way to describe George and his excursions! Travelling alone to Cape Town for a mini holiday, I was met at the airport by George and immediately felt at ease in his company. Apart from the trips I had booked with George- a day touring on the back of his Harley Davidson which was simply one of the best things I have EVER done � we visited so many places - and another day visiting the cheetah sanctuary, Table Mountain and the delightful wine districts of Stellenbosch and Franschhoek - nothing was too much trouble � George is very knowledgeable on local history and freely shared his knowledge of places to eat out, shop or even to take a nice walk. His desire to ensure you get the most from your visit to his hometown of which he is clearly very proud and his knowledge of surrounding areas, is second to none. He caters for all tastes � whether you want an active holiday or just to relax and unwind. I cannot recommend George highly enough to anyone travelling to this beautiful part of South Africa. I'm already planning my return trip as there is far too much to cover on one short trip! "By George - he was the best"
As a group we have all been to, or lived in , Cape Town so I loved the flexibility of the tours. When nothing was happening at the restaurant we thought we would go to for dinner, he took us to Beluga instead (and booked a table for us) - which was wonderful! When we needed to stop for a toilet break, we did so at a quaint place in Kommetjie (not just the Engen garage). George was knowledgable, dependable and lots of fun! I would highly recommend him for anyone wanting to see the best that the Cape has to offer - with their own itinerary and at their own pace! "Incredible time in Cape Town!" George is truly good at what he does, he is knowledgeable, professional and has a great sense of humour. We were traveling with three kids under 9 and George was very good with them. He made sure that the kids had plenty of entertainment, making sure and stopping to see animals and other oddities along the way. We were introduced to great food, including local's restaurants that may not be in your traditional tourist routes. Everyone in our group of 10 felt at ease with George. He was very good at answering our questions giving us insightful information about the history, geography or just simply daily cultural mores in SA. Thanks George!!! "Very Satisfying Table Mountain & Half-day CT sights tour with George!" Joining my wife for a look around Cape Town for the first time before her work conference, we were greeted by a very friendly and personable George Skaris from Skaris Touring for our airport transfers! It was perfect weather, so we decided to follow a friend's recommendation and make going to the top of Table Mountain our first priority. So, we asked George if he was free to take us up there that afternoon, and do a half-day Cape Town sightseeing tour afterwards - and we're glad to say he was! We're really glad we engaged his services! George was friendly, conversational, and though definitely an extrovert, not obtrusive. The Table Mountain experience was great and was enhanced with some of the extra information thrown in by George. And the CT half day tour was fun and flexible, aided by George's knowledge of traffic conditions allowing a smooth ride from point to point. Probably one of the highlights was viewing Sea lions up-close-and-personal at a special little spot known to few! We could even take close up shots from the van - we were that close. Ask George to take you there when you book! :) Overall, a very satisfying tour - and would highly recommend George for your tour needs in Cape Town! Thanks again George! This was not our first time in Cape Town and I can honestly say that we enjoyed this visit much more than the other times. We spent two days with Skaris Touring in a very flexible and relaxed tour, just the way we wanted it to be. The different activities organized by George included not only the "must-do" tourist places but also some local hangouts to really feel the city. We are definitely going to stay in touch for our next visit. This is also our first trip to South Africa. We had an amazing holiday. Most importantly. G you make it special for us. Thanks again. "Loved our Cape Town Tour!" George was everything we wanted in a guide - he was knowledgeable, easy-going but professional, had a great sense of humour and was up for anything we wanted to do, including hiking with me up Lion's Head. He recommended restaurants (since he is a true local), took us wine tasting, and drove us all over Cape Town for fantastic views of the ocean and the city. We loved every minute of the tour and felt like we were hanging out with an old friend. I will absolutely be recommending him to any friends travelling to Cape Town in the future. Thank you! "ASCM Africa Conference - Day Tour"
During our annual conference for international investors we made use of Skaris Touring for a day trip around the Cape Peninsula. Despite the winter rainy weather, George adapted the tour accordingly and made it a great experience for all first time Cape Town visitors. He has a gift for always making you feel relaxed and special. He is a superb host and we will definitely make use of his services in the future. He comes highly recommended. Too great to explain in words was George his way of giving us a taste of what South Africa has to offer. Thanks George for your original, efficient, enthusiastic way of travelling us around and most of all for your humoristic notes which made all this a super great experience. We will be back! George could not have been a better host for my short trip to Cape Town. Not only was he knowledgeable on all aspects of the city/country including sites and history... He was fun to hang out with. We covered all of the tourist spots, but also got to see the local side of Cape Town from a true local. Looking forward to my next visit, where I'll certainly get something on the books with George again. We can't praise George highly enough. From the time we landed in Cape Town until we departed 10 days later, he had thought of everything. We toured Cape Town and ate at amazing restaurants as suggested by George. We travelled to Zambia and Zimbabwe to tour Victoria Falls. He provided us with great options to tour the falls - Zambezi River dinner cruise, guided walking tour along the falls and a helicopter tour. Our son even did a bungee jump. Food, transportation and accommodations were first rate. We then headed to Madikwe River Lodge for our safari. Our guide was amazing - not only finding the Big Five but also teaching us about the animals, the trees, the birds and any question we threw at him. The food, accommodation and service were all top notch. Our only regret is we didn't have more time. George arranged everything for us and it was the trip of a lifetime for our family. We highly recommend choosing him if you plan to tour in Africa. "Great fun - Harley Davidson motorcycle trip & wine tour"
We were so impressed with George that not only did we use George for a motorcycle tour to Cape Point (and sights along the way); we also had him drive us around wine country (he picked the best wineries). He is knowledgeable, fun and a true professional! He also was very accommodating as to our schedules and time frames! "Professional with Tons of Humour"
Being South African I have never really felt the need to have a guide, but I had a friend from overseas and thought why not...What a difference. It suddenly wasn't just Table Mountain, Hout Bay or Chapmans Peak everything suddenly had a story and a history and according to George a future- Great stuff. George is not only an excellent guide but an entertainer, we laughed from start to finish. Our only regret was that we didn't book George and Skaris Touring for multiple days as when we requested another day he was fully booked. I had a spare day in Camps Bay after attending a wedding in the area and decided I'd like to see some of the coast before my flight back to the UK. A friend suggested George might have some suggestions and they were not wrong. I decided to take George up on his offer to arrange a tour of the coastal roads on the back of a Harley Davidson. I was picked up at my hotel, George provided the equipment I needed and we made our way round the various bays over the course of the day. Having never really been a bike enthusiast, I didn't really know what to expect but it turned out to be a fantastic experience. As well as being a great guide, George was a genuinely nice guy who you would be pleased to share lunch or a beer with. The bike tour can be done individually or in much bigger groups and is a great way to see the stunning coastline. If I travel to South Africa again, George and his Skaris Touring will be getting a call. Whatever your requirements, George is the way to go. He knows Cape Town and the surrounding regions backwards, and is the ideal guide to every attraction and vista. George was able to put together the perfect itinerary, and was flexible and accommodating to all changes and adjustments. On top of it all he's good company and clearly a well-liked local figure. Strongly recommended. "Father Son trip plus friends!" We engaged Skaris Touring for a trip with my son and two of his friends touring Cape Town. economical way at a considerable hassle to him. He just made it work. We would use his services again. First class!! We all connected with George and it was like travelling with a close friend. Thanks George. A trip along the Atlantic Seaboard on the back of a Harley is a nicety; having George as your host is a must! We had to cut our trip short but George was extremely accommodating about this too. A definite to be repeated experience for me! George was a fantastic, entertaining and informative guide on his Harley around the Cape. Riding a Harley is so exhilarating I'm no biker chick, but I'm sorely tempted to get my own licence and bike now as it was so much fun (and there's just something about the throaty noise they make)! I can't recommend him highly enough and in fact I've been singing his praises to so many people you'll need to get in quick before he's booked forever more! We had a fabulous bicycle tour with George. The trip ,60km, included a great workout, fabulous vistas, delicious lunch, and most of all George's knowledge of the area, his enthusiasm for the sport, and his terrific wit. This was a most enjoyable event. Dear Friends of South Africa, A family event led us go to South Africa. The destinations were Cape Town and its immediate surrounds, a Game Farm in the Swartberg and Knysna, then along the Garden Route, in and around Plettenberg Bay. Our expectations were high, but from that, what we were seeing, we were overwhelmed by. A contributing factor, our guide George. He drove us to the most beautiful places, showed us and told us a lot about the country, on game drives, brought us close to the animals and in organizing, he is a true champion. We had a lot of fun, plenty of laughter, great food and drink, and spent so many wonderful days together. For us, this holiday will be unforgettable. Thank you George for all! And when we visit this beautiful country once again, of course, with you as our guide. Liebe Freunde von Sudafrika, uns fuhrte ein Familienfest nach Sudafrika. Die Reiseziele waren Kapstadt, eine Farm in den Swatbergen und Knysna an der Gardenroute. Unsere Erwartungen waren grob, doch von dem was wir zu sehen bekamen waren wir uberwaltigt. Und dazu beigetragen hat unser Reiseleiter George. Er hat uns an die schonsten Platze gefahren, viel gezeigt, erzahlt, bei Pirschfahrten uns nahe an die Tiere gebracht und ist ein wahrer Meister im organisieren. Wir hatten viel Spab, haben reichlich gelacht, toll gegessen und getrunken, unzahliges unternommen und so zusammen wunderschone Tage verbracht. Fur uns wird dieser Urlaub unvergesslich bleiben. Dir George vielen Dank dafur! Und wenn wir einmal wieder dieses wunderbare Land besuchen, dann naturlich mit Dir als Guide. From the moment he picked us up from the Airport we knew George Skaris was not an ordinary kind of tour guide. George made us feel totally at home in Cape Town and in his beloved Camps Bay. We missed out on nothing as George took us on a local's tour of his beautiful city. His knowledge of the wine region was unsurpassed and he was the BEST guy to have on safari that you can imagine. But more than that - George is funny, smart, generous and has a knack of getting on with everyone, especially the kids (all important) and getting that extra out of every situation. When holiday time is short, you want it to be perfect. And George does his best to make that happen. Our family holiday to South Africa was unforgettable and Skaris Touring had a lot to do with that. Try it - you'll LOVE IT! George Skaris was the best guide we've ever had! He knows very much about Cape Town and its sourroundings. Not only the children adored him from the first moment on, but also we liked his entertaining personality! We had a lot of fun with him - but he also knows very well when it is time to be serious. We saw loads of gorgeous things such as whales, penguins, cheetahs.....and really breath-taking places! It is worth to go on a tour with George when you are in Cape Town - and I'm sure it will be an unforgettable experience and therefore we all send you an enormous hug and we really hope to see you again!